DMV.ORG's Friday at the Movies is a semi-regular breakdown of our favorite movie car chases of all time. This week: The Fast and the Furious. Welcome to another pleasure cruise into the weekend with DMV.ORG’s Friday at the Movies series. Tonight, we take on what has easily become one of the most epic racing franchises in cinematic history: The Fast and the Furious. If it were an NBA team, it would have two threepeats plus a spare pair of championships as backup. And it’s easy to see why. 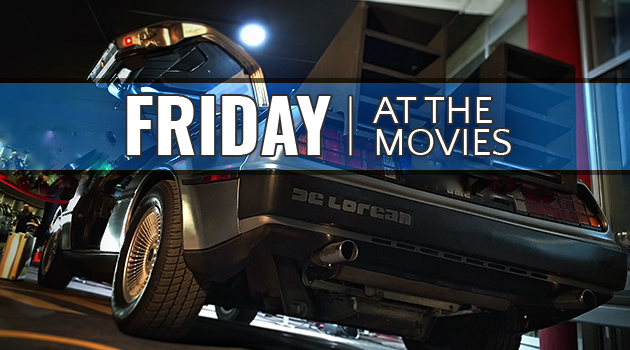 The 8-movie monster boasts millions of fans, hundreds of gas-guzzling supercars, and plenty of diesel—of both the fuel and Vin variety. Truly, has any other actor had a more perfect name for a part? While we here at DMV.ORG applaud any sequel that just keeps delivering on mind-blowing vehicles doing things we could only dream about, it wouldn’t be right to start off any other way than by honoring the installment that started it all. The Fast and the Furious (2001) has Paul Walker (RIP). It has a controversial Volkswagen appearance. It has the gearhead version of Coachella. In short—it has it all. Keep reading for more on the ridiculous rides used in the flick, and to see how it stacks up on our patented rating scale. What’s cooler than being an undercover cop? Being an undercover cop who’s sent out to investigate a street gang that uses its sweet rides to rob big-rigs. As LAPD officer Brian O’Conner, he’s assigned to figure out the true identities of the flashy felons, who just recently hijacked a huge shipment of electronics. His police instincts—and, let’s face it, his eyeballs—first lead him to the shop of the beautiful Mia Toretto (Jordana Brewster), the sister of notorious street racer and equally-as-beautiful Dominick Toretto (Vin Diesel). It’s not long before Brian is facing—and losing to—Dom in a dramatically drawn-out drag race. The scene delivers nearly 2 minutes of adrenaline-soaked driving, when a real-life race of that length would take much closer to 10 seconds. Despite his best efforts, Brian must deliver a car to Toretto’s shop as penance for failing to win. A fast friendship forms, blinding Brian from the fact that (SPOILER ALERT) Dom and his crew were the ones behind the wheel of the robberies all along. Instead, O’Conner mistakenly believes the whole thing is perpetrated by Johnny Tran (Rick Yune), the leader of a rival street racing gang. It’s all very Point Break, with way less surfing and way more Vin Diesel. But we don’t find most of this out until later. First, the gangs have to square off in something called the Race Wars, an adrenaline junkie’s dream in the middle of the desert, where very cocky drivers in very non-street-legal rides race one another for straight cash—or pink slips. Leading off is the eternally cool Michelle Rodriguez (as Dom’s girlfriend, Letty Ortiz) making a fool of a male competitor who would have been much better off—and $2,000 richer—if he had just kept his mouth shut. Crazily, Rodriguez had no driver’s license or even a permit before the film. She received some lessons on set, and sure made faking it ‘til you make it look good. But unlike that other desert oasis for irresponsible adults, what happens at Race Wars doesn’t stay at Race Wars. Consequences of subsequent matches there include the death of at least three characters—some more tragic than others. Brian is also eventually forced to blow his cover, revealing his true police identity to the crew that had grown to trust him. But in the end, he chooses love over duty, letting Dom escape the clutches of the LAPD. How else would we ever get a sequel out of it? Let’s face it: you might have come here for the beautiful actors, but you stayed for the beautiful cars. And this movie is a feast for the eyes—especially if you keep in mind that it was filmed (and styled) in 2001. The flashy rides range the gamut in make and model, though only two American-made vehicles made the cut for the principal cast: Dom’s 1970 Dodge Charger R/T and the 1970 Chevrolet Chevelle SS he’s seen driving after the credits. The rest of the flick is populated by more than 60 Japanese rides and one hotly contested Volkswagen—though the Race Wars scene was filmed using the real-life cars of more than 1,500 extras. Still, some of the hot rods blazed hotter than others. The car has a brief but important role in the movie as the vehicle Brian agrees to race Dom in—and hopes to impress him with. Good thing he spares no expense. The Japanese model is highly customized, with body mods including a special carbon fiber front splitter, carbon fiber race mirrors, and custom roof scoop. The tune-ups are intended to lighten the car up—but even with the extra weight, it’s already plenty fast. The 16-valve, dual overhead cam, 2-liter, 4-cylinder engine is capable of getting 165 horsepower before it’s turbo-charged. Brian’s fuel-injected version gets 210. That the LAPD covered the reported $80,000 price tag for the souped-up vehicle is just a cherry on top—even if it did end up getting destroyed. Dominick’s Mazda—the only foreign car he would drive throughout the entire franchise—absolutely eats up the competition during the first drag race of the movie, and it’s easy to see why. The 2-door coupe comes stock with a twin turbo engine capable of reaching 255 horsepower. Dom’s specially-modified model also has nitrous oxide boosts, allowing it to fly even faster. Other custom equipment on the flashy red ride includes an extensive body kit and aluminum struts. But at least one specifically-made creation didn’t make the final cut. The car was supposed to come complete with a roll cage, but Vin’s hulking body wouldn’t fit along with the safety feature, so the crew had to cut it out. After Brian’s Eclipse is destroyed by rival gang members in the wake of the race, he must look elsewhere to pony up for losing to Dom. What he shows up to the shop with instead is the Toyota super car, which would be considered anything but a downgrade, if only it wasn’t totaled. Still, by the time the crew is done fixing what was once destined for the scrap heap—to the tune of about $20,000 in the movie, or closer to $100,000 worth of work in reality—the car is a hulking beast that could smoke any Ferrari on the road. Rented in real life from the film’s technical advisor, Craig Lieberman, the hooked-up Toyota includes a modified suspension, turbo engine, nitrous oxide boosting system, and Lamborghini paint job, among other specs. It’s not uncommon for the sporty Volkswagens to put in a few laps at the track, but the use of one in the movie was much maligned, as the model came nearly dead stock. While Jesse’s Jetta in the movie did have a nitrous oxide boosting system, the only other modifications made to it were purely aesthetic, including a small body kit and a rear spoiler. Perhaps that’s why the car fared so poorly at the Race Wars. 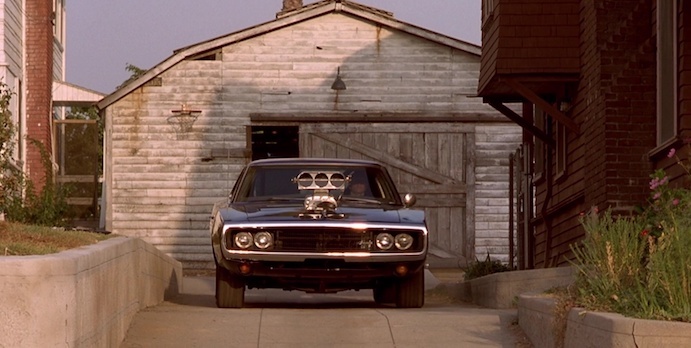 The classic muscle car would go on to be a staple of the Fast and Furious series, but it makes its first glorious appearance in the original flick. Sporting a 528ci supercharged Hemi and 727 automatic transmission, the beast of a vehicle was reportedly capable of reaching 900 horsepower—and was responsible for laying down the fastest-ever quarter-mile time in the film. While in the movie world, it ends up destroyed by the end of the flick, in real life, the super-impressive car lived on, making an appearance as a junkyard car in the opening scene of 2005’s Herbie Fully Loaded. The Fast and the Furious is one of the rare films that delivers on its name—there’s much speed, and much, much fury. For all its high-octane fun and dreamy supercars, we at DMV.ORG officially award the flick a 9 out of 10. And if you’ve got a problem with that, we’ll see you at the next Race Wars.